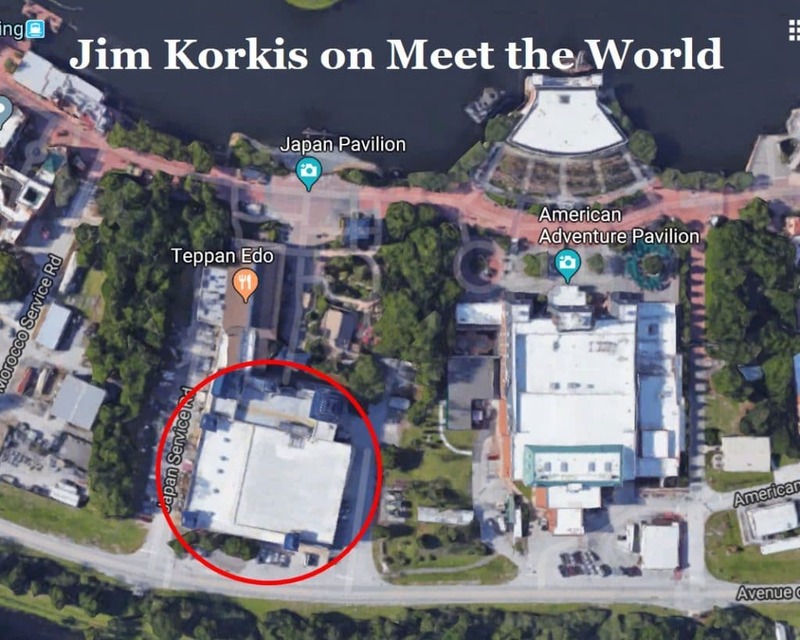 The huge show building in the Japan pavilion at the back of the Mitsukoshi store was meant to house an audio-animatronics attractions called “Meet the World,” and although the attraction isn’t, the building is still there (in red in the image—Dave). Konosuke Matsushita, the founder of the Matsushita Electric Industrial Company, had a strong interest in Japanese history and a fondness for WDW’s Hall of Presidents audio-animatronics in re-creating real historical figures. When he was approached in the late 1970s to sponsor a pavilion at the forthcoming Tokyo Disneyland, he agreed if there was an attraction that matched his interests. Imagineer Claude Coats had been working on a theater attraction for Epcot’s Japan pavilion called “The Winds of Change” that would incorporate the history of Japan and use audio-animatronics of important figures of the past. Certain politically sensitive issues like Japan’s participation in World War II were carefully sidestepped as they were in the show at the American Adventure. That time was alluded to in the show as the “dark days”. 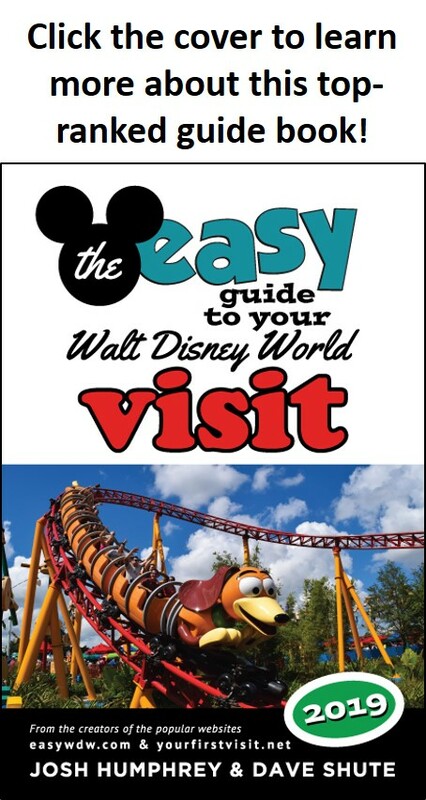 As a cost saving measure since the attraction was already built, it was sent to Tokyo Disneyland which was being created at the same time as Epcot, along with the Magic Kingdom’s Mickey Mouse Revue and the new Dumbo attraction built for Walt Disney World. So doing helped lower the budget and the time necessary to open Tokyo Disneyland. Matsushita Electric subsidized the attraction so it was one of the few free ones when the park still used attraction tickets. Japan Airlines later took over sponsorship. It was only one of two attractions that focused on Japan since the Oriental Land Company wanted to present an American version of a Disney theme park and had cherry-picked attractions from both Disneyland and Walt Disney World to create the ultimate American experience. “Meet the World” was a roughly eighteen minute four-act show that showcased Japan’s history of trade and interaction with other countries. The island nation’s volcanic beginnings were discussed along with early trading with other nations, isolationism, the reopening of the country, and its promising future. The theater was similar but in away opposite to that of the Carousel of Progress. In the Carousel, the audience rotated around the various stages. In “Meet the World”, after each scene the seating area would slowly rotate 90 degrees to point the audience in the direction of the next stage. The rotating inner core with the stages in the outer ring allowed for larger stages but limited the overall seating capacity. In addition, each stage had a large movie screen in the background to help tell the story with the figures interacting with the images. An audio-animatronics talking crane led a young boy and girl from Yokohama on a time travel journey that featured audio-animatronics representations of prominent Japanese and Western figures to re-create a particular event. The dialog was in Japanese with characters from other countries speaking in their native languages. Headphones were available in the back row for translated dialog. The attraction had over thirty audio-animatronics figures. The figures were sculpted by Blaine Gibson, except for three Meiji figures who were done by a Japanese sculptor from Tokyo’s Toho Studios. The “Meet the World” song was written by the Sherman Brothers and played as the theater rotated each time to its new position. Actually both Tokyo Disneyland and Epcot were supposed to have duplicate versions of Meet the World-Meaning it would have the first Disney attraction to open the same time. There were also two others concepts proposed for the Japan Pavilion one was a simulated Shinkansen(Japanese Bullet Train)-that would have been a unique variation of Circle Vision and then in the 1990’s a Mt Fuji Roller Coaster similar to the Matterhorn Bobsleds was planned.